C’est magnifique . Shades of Versailles and the opulence of the French Court of Louis IVX. 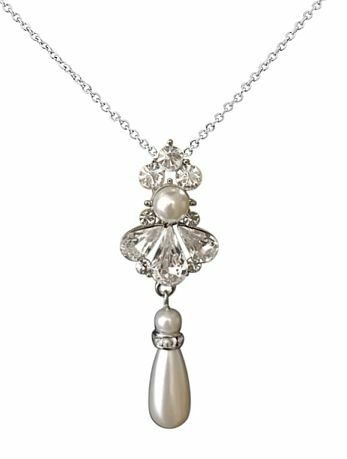 Ivory simulated pearls and high quality shimmering crystals on a high quality silver finish. Set on an 18”/46cm Sterling Silver chain. . Pendant drop 4.5cm/1.75”.